Next Clayton explains that TT “is a project that has arisen” because of a sense that “progressive Christians are in a time of crisis” having “lost” their “motivations, and [their] beliefs.” This video is actually from a year ago; so the TT events Clayton describes, the “assembling leading progressive theologians from across the United States,” the “denominational summit,” and the bringing together of “presidents and academic deans of seminaries and divinity schools from across the United States,” so that they might “listen in on the results” of those first two events, have already taken place. These extensions of TT are what laid the groundwork for the recently concluded heresy-fest Theology After Google, and helped form the new version of Progressive Christianity that Emerging Church guru Brian McLaren has now just begun laying out in his book A New Kind of Christianity. You need to know these things aren’t happening in a vacuum; but rather, are interconnected with the neo-Marxist spirituality e.g. advanced by the Red Letter Christians ala McLaren, Tony Jones, Roman Catholic mystic Richard Rohr, Tony Campolo, his disciple Shane Claiborne, and Obama advisor Jim Wallis. Note carefully at 1:38 in Clayton discusses the aforementioned denominational summit where “leading denominational leaders from progressive churches” which he tells us consisted of “the American Baptist Church on the one side to Unitarians on the other side” coming together “to talk about transforming theology; re-linking theology and the church congregations” and what they all might do to “engage in a new form of theological education.” I hope you’ll recognize that with so many in this mix who deny cardinal doctrines of the Christian faith this “new form of theological education” will also have to comprise a new form of Christian theology period. Then at 2:20 in Clayton tells us that “none of this will make any difference unless ordinary church folks are involved.” Perhaps a more accurate statement is “none of this will make any sense unless we enter the Wonderland of Humpty Dumpty Language language where words take on whatever meaning an individual wishes them to have.” I have no doubt concerning Clayton’s sincerity at 2:50 as he shares, “We believe that change is possible. 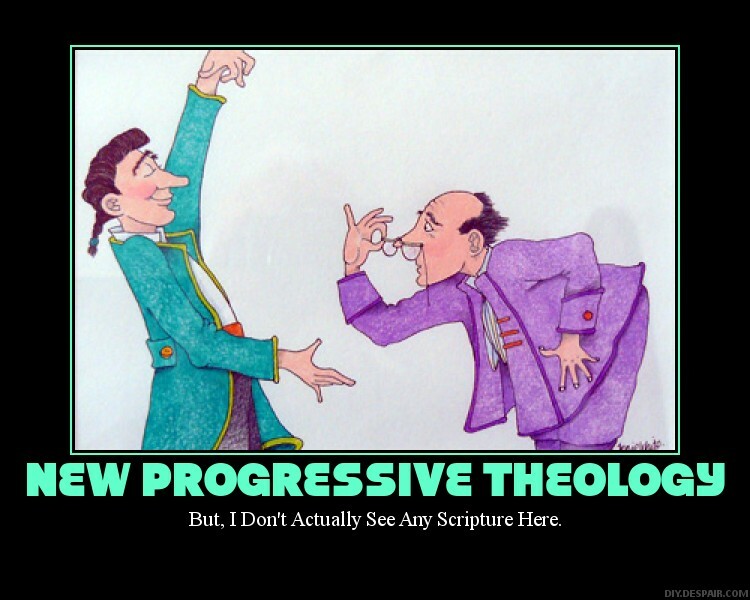 We believe that theology doesn’t have to be irrelevant.” The issue is the kinds of changes they’re aiming for in this new—Liberalism 2.0—relevant progressive theology. Clayton also informs us that, “We believe that Christianity means holding certain beliefs and making certain proclaimations; and we believe that the church, and theologians, can work in a powerful partnership over the coming years.” Interesting; one one hand the Emerging Church is always telling us we’re not “saved by our beliefs,” but now on the other hand progressive/liberal Emergence Christianity theologian Philip Clayton is also saying that, “Christianity means holding certain beliefs and making certain proclaimations.” This is an example of doublespeak using Humpty Dumpty language. Yet here I have a point of agreement with Dr. Clayton; however, when our new progressive Christian theology is trying to create a “big tent” under which we’ll have people like Living Spiritual Teacher Dr. Marcus Borg, who deny the Deity of Christ Jesus, right alongside non-Christian cults like Unitarian Universalists who, in addition to rejecting the Deity of Christ also deny the triune nature of God i.e. Who He is, it brings about this very vital question: Just what exactly does Philip Clayton himself believe are those “certain beliefs” and “certain proclaimations” that he says “Christianity means”?